We were all so impressed with Muse that we fancied going to see them again so Marie suggested that we get tickets for this. The gig had been sold out for months and I started to check Seetickets every day to see if any tickets came up. They didn’t; but we managed to score four tickets on ebay at slightly less than face value. The tickets arrived on Wednesday just a few days before the show. We left at around 4pm and had an uneventful drive across to Manchester, arriving just as support Band of Skulls were finishing. We found some seats towards the side of the side of the stadium with a good view of the stage. Editors were next up and seemed pretty good, although the sound was not great from where we were sitting. At around 8.15pm Muse took to the stage, starting with Uprising. They were accompanied by a crowd waving flags and banners carrying the key slogans from the song (“they will not control us”; “we will be victorious”). The stage is like nothing you have ever seen before. It must be the most impressive set up out on the road today. It resembles something like a giant building with the band in the centre of it, surrounded by loads of screens with the images flashing between artwork that mirrors the song lyrics and shots from the band on stage. Difficult to describe, it has to be seen to be believed and must have taken days to setup and cost a fortune. Muse were as awesome as ever. The sound was spot on, the crowd loved them a great atmosphere. At one point they all grouped on a small stage which went out into and above the crowd. From where we were sitting it looked like they were in flying above the crowd. They have to be the best contemporary band out there at the moment; this show takes some beating. 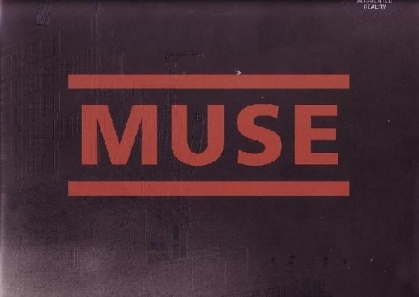 Favourites for me were Feeling Good and the closer: Knights of Cydonia. They finished about 10.30. Got out the car park around 11.15 and then got stuck in a diversion off the M62 which delayed us quite a bit. Home at 2.30am. Laura and I are going to see the New York Dolls tonight at the Cluny Newcastle. Then time for a rest.